CALL To Help Someone TODAY! Opiate addiction and opioid addiction can bring about pure heartache and despair. But it can be possible to attain a better, happier, sane, and sober life. A person can always undertake the proper corrective actions to make a change. Your next action can be to receive free, confidential, and immediate assistance by filling out our contact form online or by calling our addiction helpline. If you feel like you are contending with an emergency, call 911 immediately. As if people don’t have enough reasons to become addicted to painkillers, a program associated with the Affordable Care Act (ACA) seems to be creating more addicts than ever. According to the Centers for Disease Control and Prevention, America is in the midst of an opioid “epidemic.” And what makes it even worse is that some people believe that the government program is contributing to the problem. In an effort to increase patient satisfaction in hospitals, the ACA includes a program that allows patients to rate hospitals in a survey after they have been seen. If a hospital gets a good score, it increases its funding under the program, but if not, they get no additional funding. Because of this, some hospital administrators across the country are pushing ER doctors to prescribe painkillers to increase patient satisfaction. The patients are asked three questions on the survey, one of which is whether or not they received relief for their pain. And while that may seem like a logical question, it’s at the heart of the problem. For instance, if a doctor didn’t prescribe a painkiller to a patient because he felt it wasn’t needed, or suspected that the patient was an addict who was simply looking for prescriptions, the patient can give a negative rating on the survey and impact the hospital’s funding. Because hospital administrators are pressuring ER doctors to do all they can to increase the patient satisfaction surveys, many of them are writing more and more painkiller prescriptions to get positive reviews. In fact, a new study just released this week published by the Annals of Emergency Medicine says that 17 percent of the 20,000 patients discharged from emergency rooms left with an opioid prescription, and the prescribing of painkillers quadrupled from 1999 to 2013. That makes many experts nervous considering that in 2013, 16,000 people died as a result of taking painkillers. In addition, opioids are highly addicted, and if ER doctors are giving them out like candy, it can only increase the number of people who become addicted to them. Senators Chuck Grassley (Iowa – R) and Dianne Feinstein (California – D) have both stated in a letter that the surveys could impact opioid prescribing. And it seems that they’re correct. Some doctors in South Carolina have admitted to prescribing more painkillers in response to the survey scores, and one hospital, looking to increase their scores, resorted to offering Vicodin “goody bags” to patients as they were discharged from the hospital. And many experts believe that the problem will only get worse as hospitals try to figure out more ways to get some of the ACA funding that is up for grabs. Chronic pain and pain in general is a matter that greatly benefits from medical treatment. Opiates and opioids can relieve pain. But prolonged use of opiates and opioids brings about dependency and addiction. If you or a loved one is struggling with a painkiller addiction, it can be truly overwhelming. And when you finally admit that you need treatment, finding the right treatment center can overwhelm you even more. 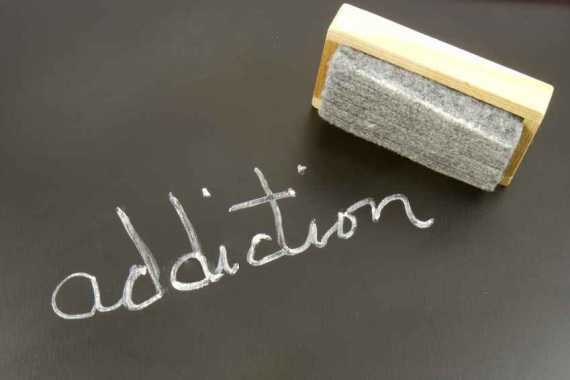 The good news is that a recent study published in the American Medical Journal shows that with the proper treatment, these types of addiction can be overcome. Our specialists are committed to helping you or yours to connect with the right detox, treatment, and counseling options that can really make all the difference and bring about a sober, happy life! Do not let the misery and suffering of pain and opiate or opioid addiction dictate your life. Getting well can be made possible. Managing pain can be made realistic. Make the most of your resources, enlist our assistance, and take the steps that can result in a better, happier, sane, and sober life. Your next step is to receive free, confidential, and immediate guidance and help by filling out our contact form or by calling our addiction hotline. Familiarize yourself with Signs Counseling is Needed. Addiction can be overcome - get free help now! Learn more about how Lawyers and Attorneys work with drug addiction and alcohol addiction. Get free, confidential help!